What is the best refreshing drink for you? You answer may be Coke, 100 plus, ice lemon tea, or even Kopi Ice? But for me, it is Rejuvelac. Re… what? In Singapore, whenever I mentioned about Rejuvelac ( or 回春水 in Chinese) , most of the people I talked to gave me a blank look – never heard of it. So I decided to promote it here. It contains many enzymes that help to break down glucose, starch, and glycogens, which aids your digestion. If you often have problem with you digestive system, please consider taking Rejuvalec. Health tip: Enzymes and friendly bacteria are necessary for a healthy digestive system which allows us to assimilate nutrients and eliminate toxins! Well, it is a fermented drink derived from the water in which sprouted wheat berries (some use spelt or rye) are soaked in. I first learned about Rejuvelac from Dr. Lai Chiu-Nan’s book, “Dr. Lai’s Heath Tips”, which provides a clear instruction on how to make Rejuvelac at home. I have since tried it many times, and it is really easy! Best of all, it costs very little to make. 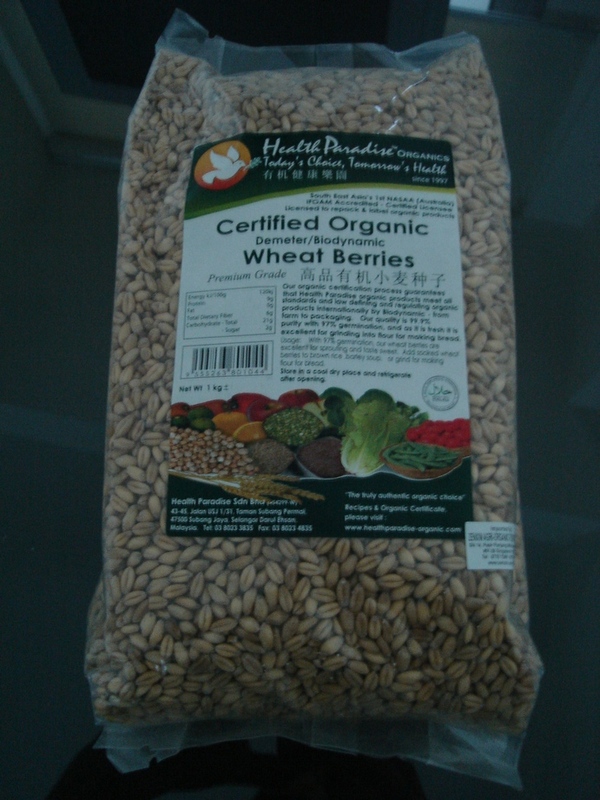 To start, you need to get organic wheat berries. In Singapore, it is commonly available from most organic stores. Wheat berries are the whole complete grains of wheat before any processing. If you are not sure, please ask the store for wheat grain that can be sprouted (小麦种子 in Chinese). It is quite inexpensive; a small packet of 500gm cost only S$1.90. 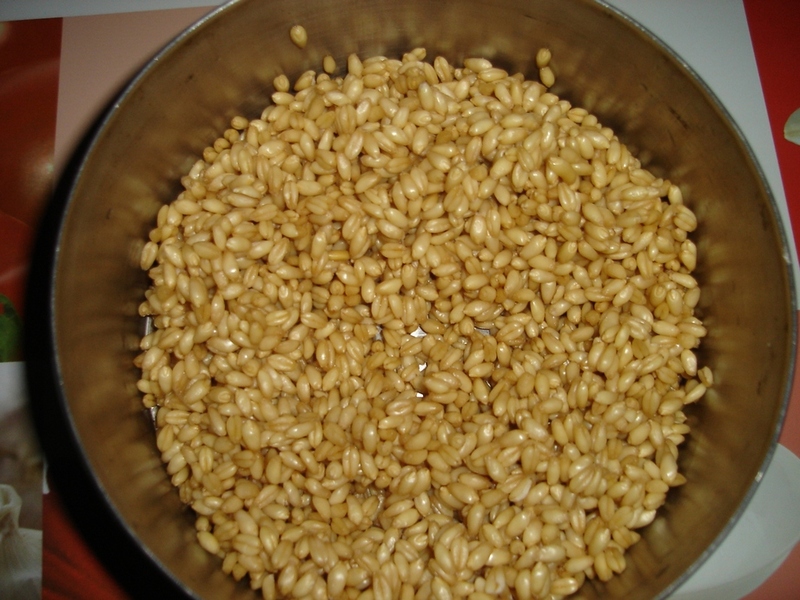 Wheat Berries – after rinsing. 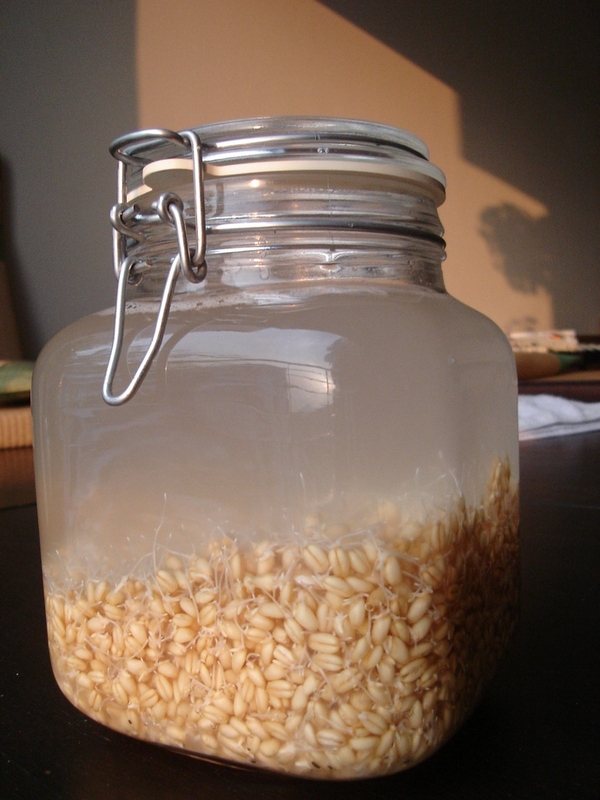 Wheat sprout and water in a glass jar. 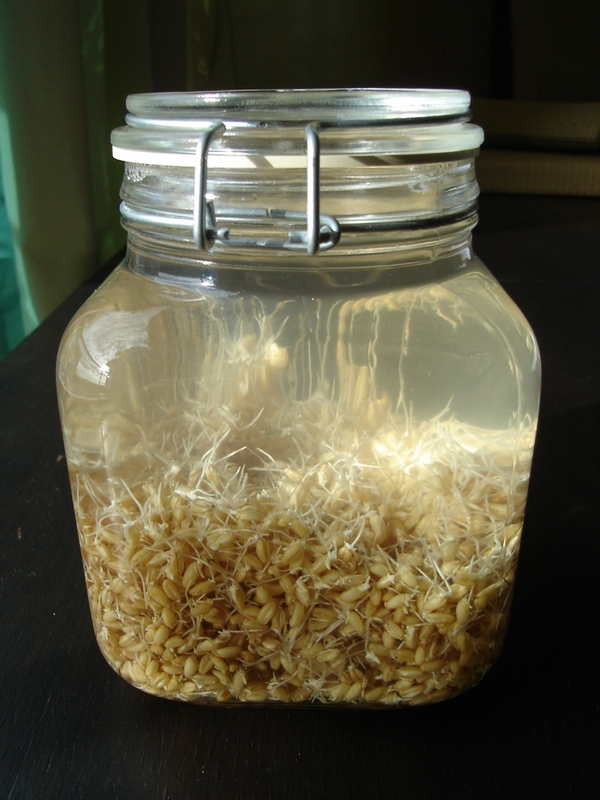 Wheat sprout and water – after about 8 hours. You can see gas bubble in the water. Drink the water. Extra can be kept in the refrigerator. One can make a second batch by replacing the water and waiting another 24 hours. This can be repeated for a third time. Drain and serve. The Rejuvelac is ready. The taste of Rejuvalec is a bit sweet and sourish. 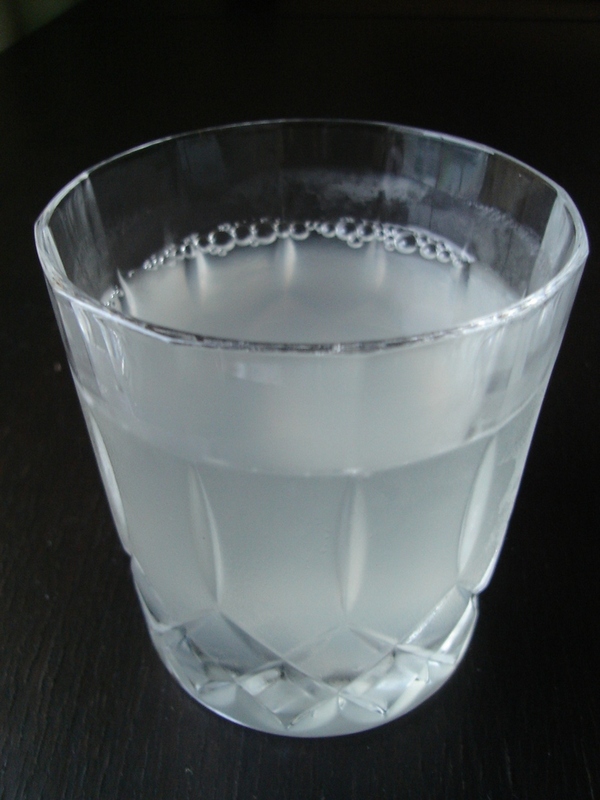 The taste may be too strong for some people who is not used to fermented drink; in this case, you can dilute it with water. I personally prefer to drink Rejuvelac on the day it is made, after chilling in the fridge for a couple of hours. It is cool, refreshing, and full of energy! Although, you can leave Rejuvelac in the fridge for a few days, it loses the freshness and energy. So, what are you still waiting for? 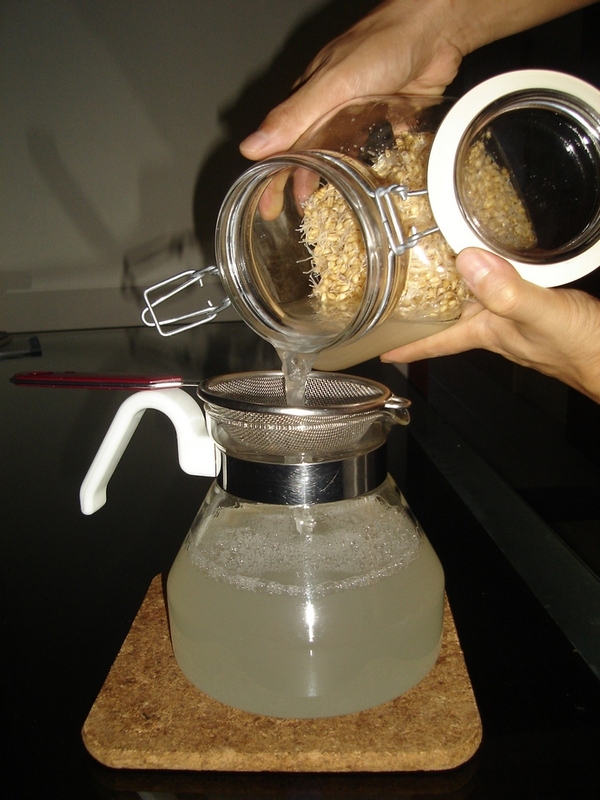 Get yourself some wheat berries and start making some Rejuvalec! A drink for your good health. Cheers! Bottom up! Hi there, Thanks for the clear instructions! I will try it out this week end. Separately I am looking at vegan cheese recipes that call for rejuvenac to culture the almonds/Cashews. Would you know if it refers to the sprouted wheat berries (can use other grains also apparently : quinoa…) that are blended?